Jennifer at Jennifer's Jumbles has announced a fun weekend of Frosty Fesitivies! 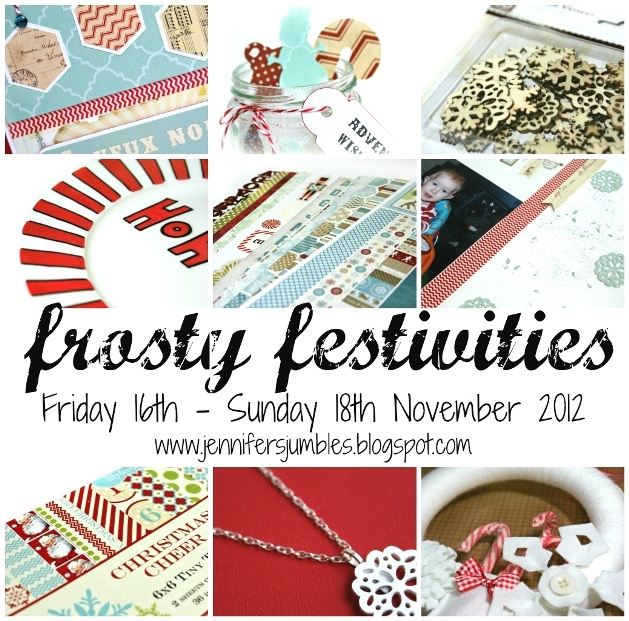 Over (the) weekend there will be posts every hour ... all on the theme of 'Winter' including tips, tutorials, challenges, crafts, a blog hop, and lots of giveaways. The photo above shows you a mere snippet of the projects and prizes!